A New Leaf series focuses on the visual depiction of various human emotions, ever-changing culturally and intellectually subjective states of mind. Just as a quantum object can be registered as either a particle or a wave, it is our psyche, through conscious discrimination, that determines if an event reveals a deeper order of significance. The need to turn over A New Leaf can be triggered by a specific incident or simply as part of the quotidian flux; spontaneous, simultaneous or synchronous, the need to understand what is beyond the individual is universal, connecting human beings to a larger order. 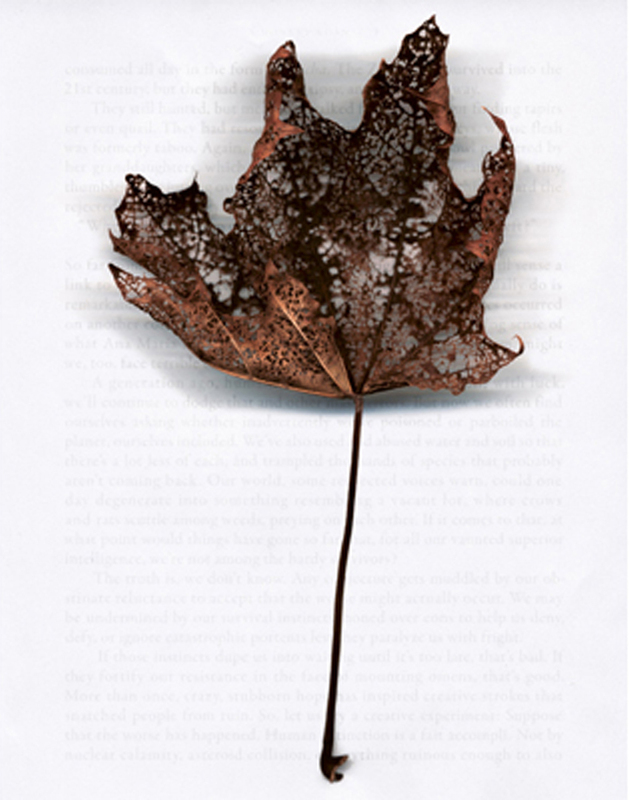 The physical decay of the structurally intact leaf visually describes the human affliction. It is the deeper interconnection between representation and reality that gives each image its meaning and its shape.